Need a place for your kids to run? 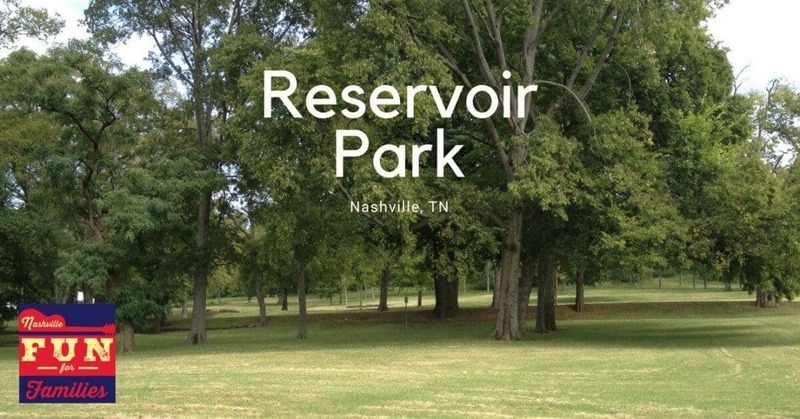 Reservoir Park is it! Located in Edgehill, this large green space is well hidden. From the street it is deceptive how large it is. The park has a playscape and swings which are located on the Hillside Avenue side of the park. It is a distance from the parking lot so you may want to park on the street. The play equipment is not shaded, but there are benches that are in the shade. I did not see a bathroom, so keep that in mind when you go. 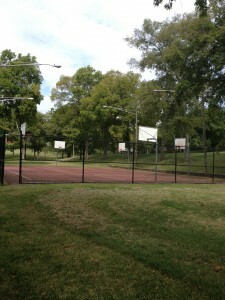 The basketball courts and tennis courts are near the parking lot located on Argyle Avenue. The morning we visited the courts were empty but it was a cloudy week day morning. I’m sure there are more people for a pickup game in the evenings and weekends. There are also several covered picnic areas. The best part is the HUGE grassy hills. I kept wishing for big pieces of cardboard to use to slide. I’m not sure these pictures do the hill justice. It is the perfect place for log rolling and sledding too! I also kept imagining an amazing game of capture the flag. These hills are the perfect back drop for all kinds of running around games. Next time you want to get out and enjoy a big open space give Reservoir Park a try. Just remember to bring a flattened cardboard box. Trust me, you kids will love you for it!